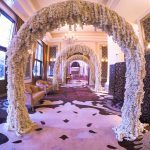 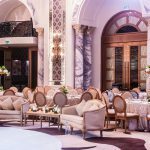 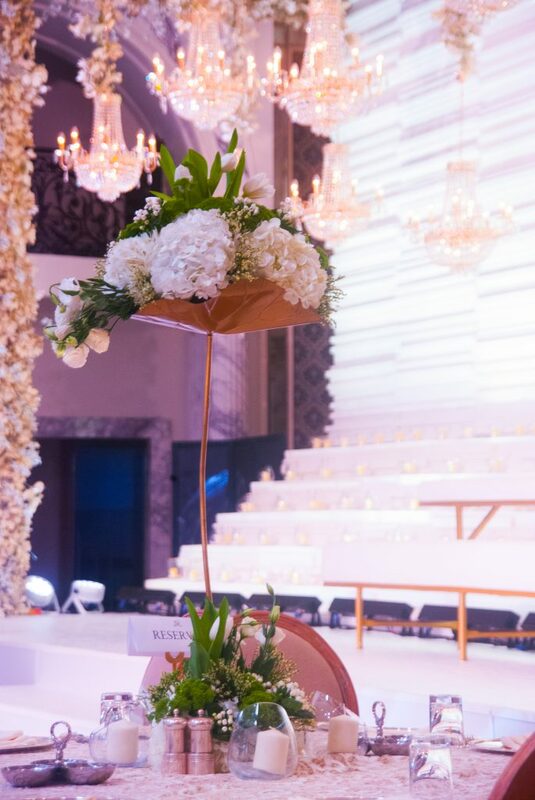 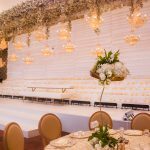 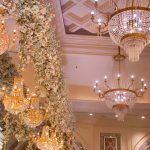 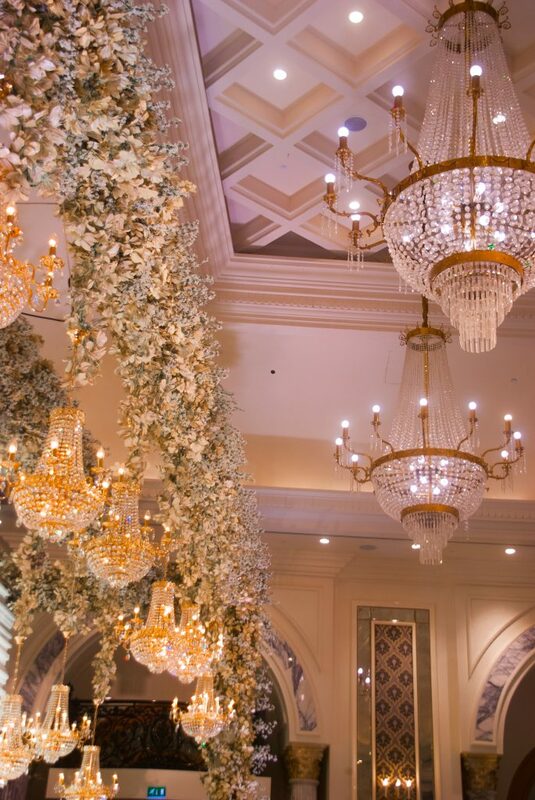 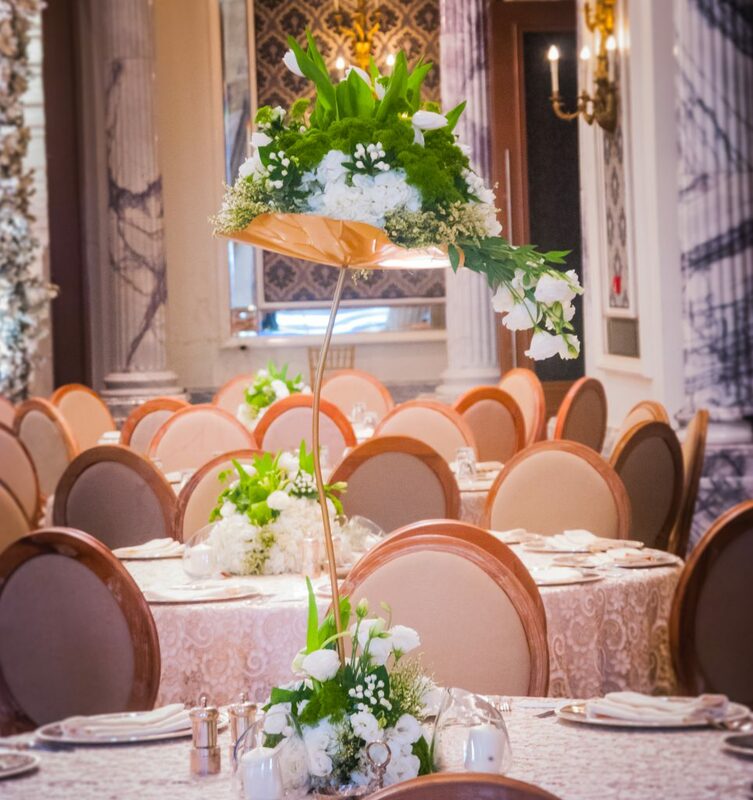 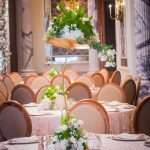 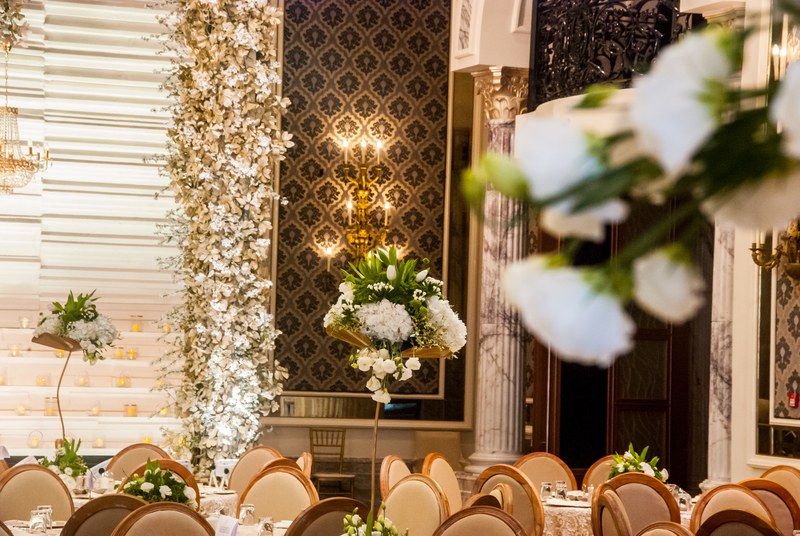 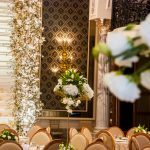 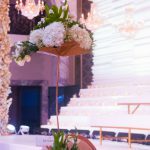 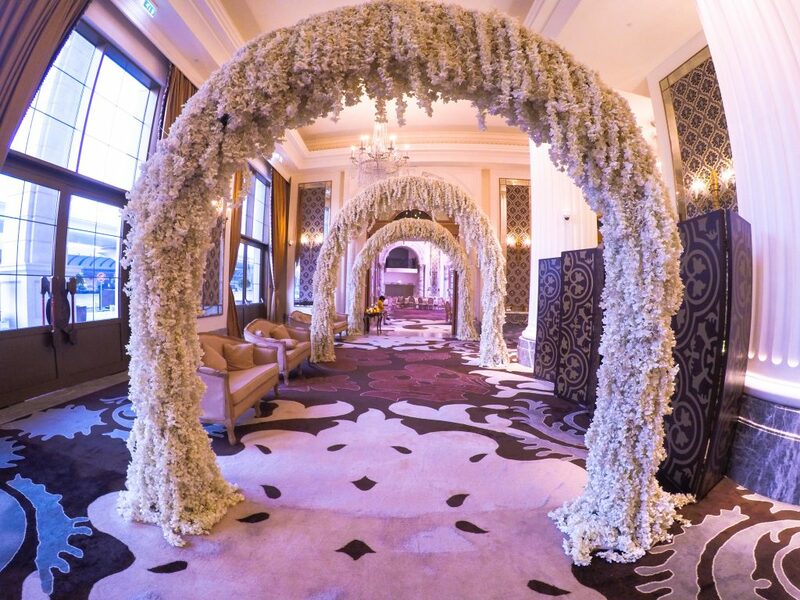 Dubai based, wedding planning and production agency- The Wedding Venue designed and produced this beautiful wedding at the St.Regis Hotel, Dubai September 2. 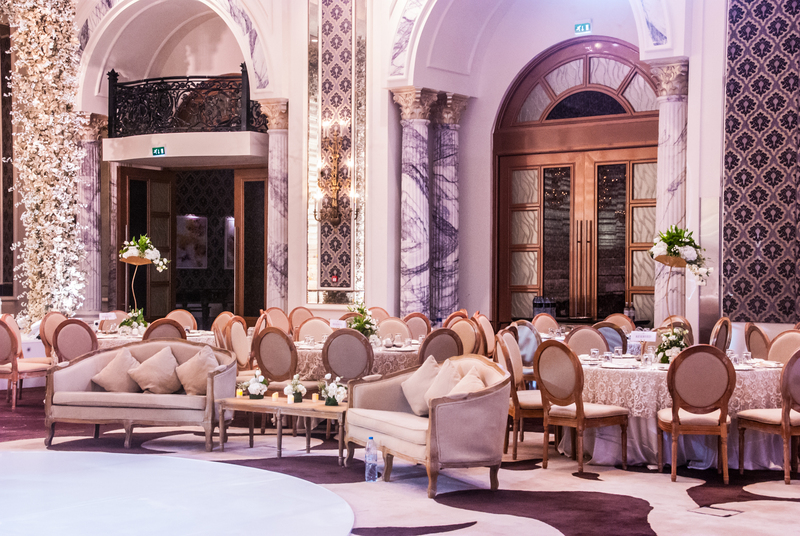 Considering the client’s requirements the Dubai-based agency created a concept that looked like an extension of the hotel! 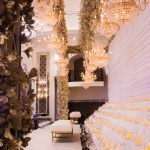 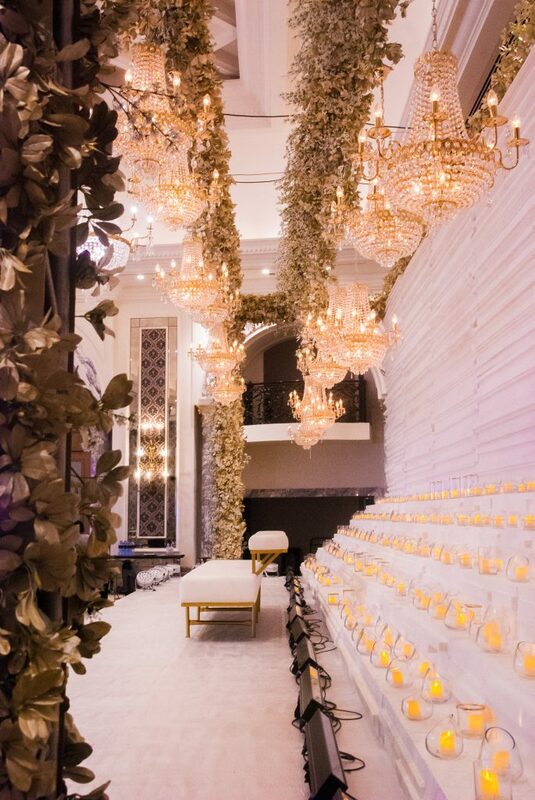 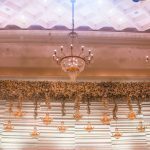 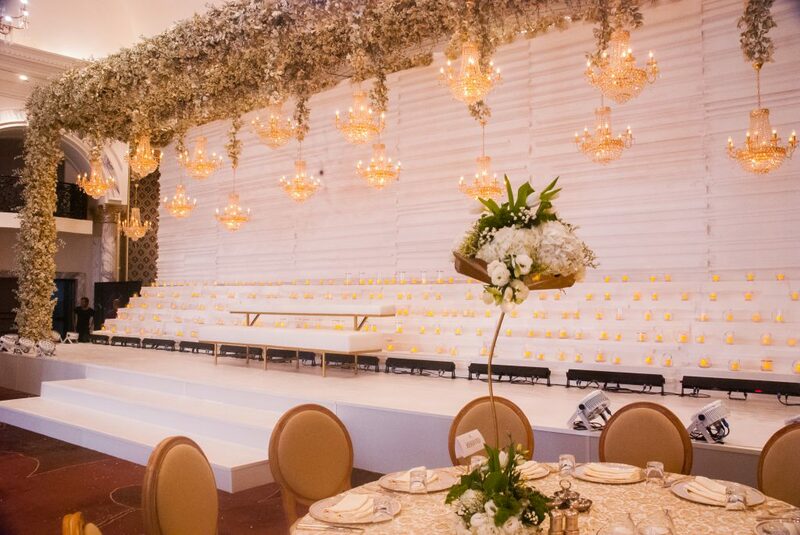 By using similar kind of chandeliers as the hotel’s and matching it with the candles at the bottom in layers helped The Wedding Venue in accomplishing their goal. To match the colours of the existing carpet in the hotel the Dubai based agency used natural coloured furniture with brown upholstery. 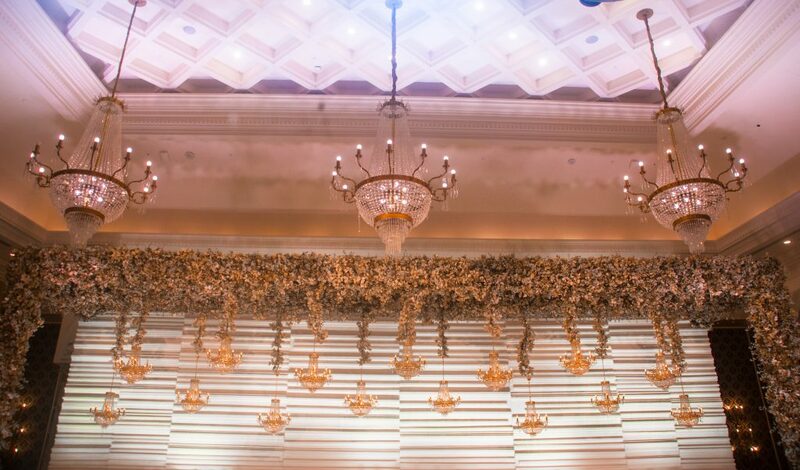 Even the heights of the centre appointments were mixed to give a visual variation in the hall.